I was sceptical about giving these a go. I cycled the Thermopure tablets (I don't juice, but like to be consistent with timing) and they were good, but i felt some days they worked and some days they didnt. 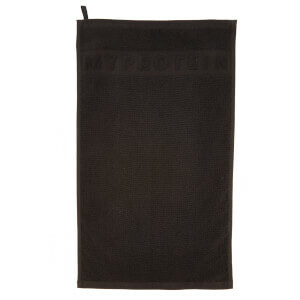 In terms of MyThermo Xtreme, i will definitely be using these again! I've just finished a 3 week cycle with these (90 tablets in a tub, 2 tablets per serving, 2 servings a day) and they've really helped me with my weight loss. Not only did i feel like they worked for my training and weight, but they also gave me great focus/concentration during the day, and i felt much more alert too. In order for these to be as effective for you as they were for me, your diet must be absolutely spot on (whether you're Keto, Paleo, IIFYM etc). What i would say though is be prepared to sweat - I sweat like mad anyway but the slightest bit of exercise whilst taking these and you are dripping like a tap. (I quite like this factor, but some dont.) All in all, id definitely recommend them!! An extremely good diet and lots of high heart rates! 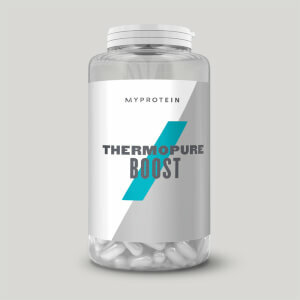 I am very skeptical when it comes to weight loss tablets, and I have used CLA and Thermopure for a while and it seems the affect has worn off, tried adding the new Mythermo X-treme into my diet and it has soon picked up again and is even better than before. 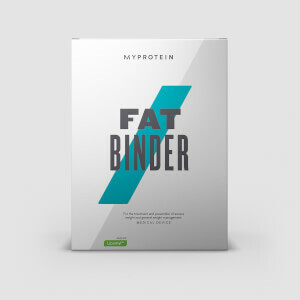 I would highly recommend to anyone looking to lose weight and reduce fat, I feel fuller than before and it has helped me lose weight with my exercise and diet, I used it alongside the low calorie meal replacement, worked a treat. I buy a lot from My Protein and I came across these tablets and thought I give these a try. I have only been taking these for a week but with my PT sessions, gym workouts, walking and having a healthy balanced diet, in my 1st week I lost 4.5lbs. Really happy with the results but still early days so I will definately continue taking them. The only thing I would say is that the suggesting consumption is 2 daily, one in the morning and afternoon, but doesn't state whether it's with food or not. So if I have early morning gym sessions I take it before I go and the days that I don't go I take it with my breakfast. For the afternoon again, I take it with food. If consumed with the suggested dose, this pill can be useful to help burn fat, and also to give energy. i can see the difference while working out (swimming & gym). although it is for weight loss, it doesn't squeeze your energy, and with a correct diet, i use the protein diet, it can also help increase muscle mass while slowly burning fat. 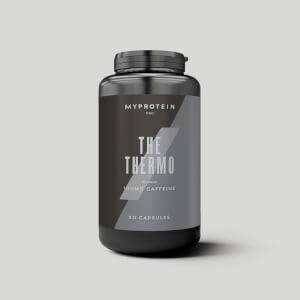 Fantastic product, take as the suggested use and you can noticeably see difference within the first month of use, metabolises fat effectively and doesn't give you any sick feelings at all, I've used just before a workout, increase sweat but still no bad side effects, would recommend! I'm 48, 85kg, fit, train 5-6 times a week cardio and weights. Tried these for the first time last week. Took 2 an hour or so before a spin class. Went to the class buzzing, but half an hour in and I had to stop because my HR was way too high and it wouldn't come down - that's never happened to me before. That evening my resting HR was still 72 when it's usually 54-58. So, there's no doubt these work - they were very effective in increasing my metabolism (and HR) quickly, at least in the short-term, but you just need to be careful taking them. It might be wiser and safer to take just one tablet before hard cardio for the first time. Works well and is a fantastic addition to cutting however, gave me insane amounts of gas and liquefied everything so eat plenty of fibre! These tablets are great when you need that extra push at the gym, 30 mins before your workout take 2 of these pills and your ready to go. My performance is so much better and i can workout for much longer . my weightless has been great since taking these as i can workout more. defiantly a winner. Have been using these capsules now for about 2 weeks, great product no side effects have been taking 2 capsules on an empty stomach in the morning, Then heading gym doing doing resistance training and running at the end of my workout. The weight truly is burning of and you really sweat with these, but how else are you going to lose weight. Five stars ⭐️ great product!